The organ was built in 1778 and represents a unique rococo instrument. This organ is the pinnacle in the art of organbuilding by the family Van Peteghem who, in between 1776 and 1787, enriched Flemish organ scene with a number of organs. They are esthetically the best which were made at the time. 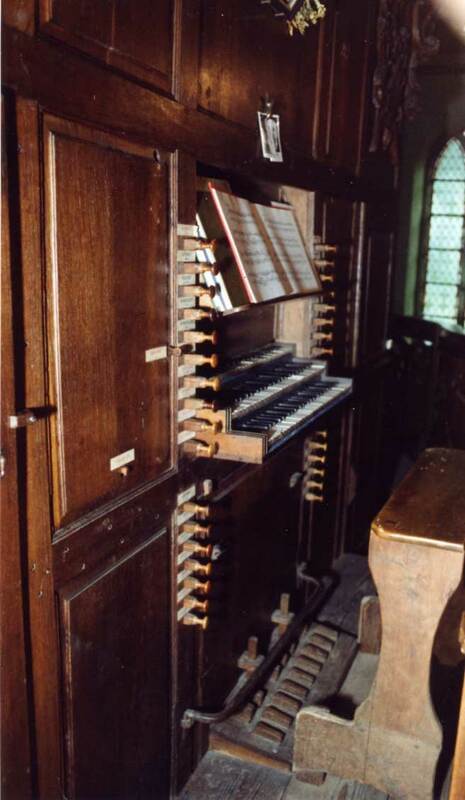 The Haringe organ is no doubt the best preserved instrument of that time. It not only survived because of its solid construction but it escaped all the different taste in organ-building and renovations over the years. The organ has never been rebuilt and the different registers have never been modified to bring them into line with new tastes. On top of that it has an extensive an extensive stop list. The combination of all these elements makes this organ the embodiment of the Flemish organ collection which is recognised by organ-players all over the world. 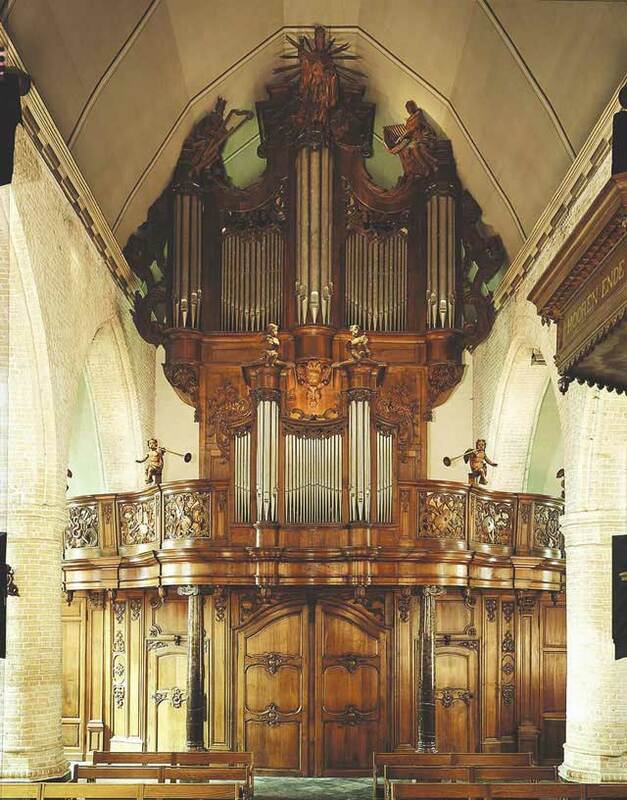 The organ has been renovated by J.P. Draps en G. Potvlieghe under supervision of the department of Monumentenzorg (Mr. Fouconnier en P. Roose) and took place in between 1993-1994. The organ is tuned with the temperament of Rameau with a' = 404 Hz. measured 13-09-2007 on the Prestant 4' at 18° Celcius or 64.4° Fahrenheit. 1092 pipes have been placed in front of the Great Organ as well as 54 (which were not origionally there) extra at the last renovation(Bombarde 16'). For the Positiv, 627 pipes have been used as well as 150 for the Echo division. Together with the 6 pipes of the Tambours makes it a total of 1929 pipes. The action is completely mechanical and the pedal board is fixed to the Great. All stops with the exception of Bombarde have been made by Peteghem himself!